Adding Negative Keywords In AdWords is a task you should do regularly. It helps you reduce wasted budget and makes your ads more effective in reaching the right people. The first time to add negative keywords is when you do keyword research. This will be at the very beginning of your advertising and keyword research will be one of the first things you’ll do. You’ll start by brainstorming some keywords that you’ll use as part of the research. Because of your knowledge of your industry, products or services this shouldn’t be too hard. If on the other hand you’re setting up a campaign for a client, then you should request this from them. So you’ll then carry out the keyword research and as you do so you’ll find negative keywords to add to the campaign. One tool you can use for the research is the free Keyword Planner Tool in Google Ads. You can also carry out competitor research with a tool like Spyfu to see what keywords they are bidding on and find some potential negatives. 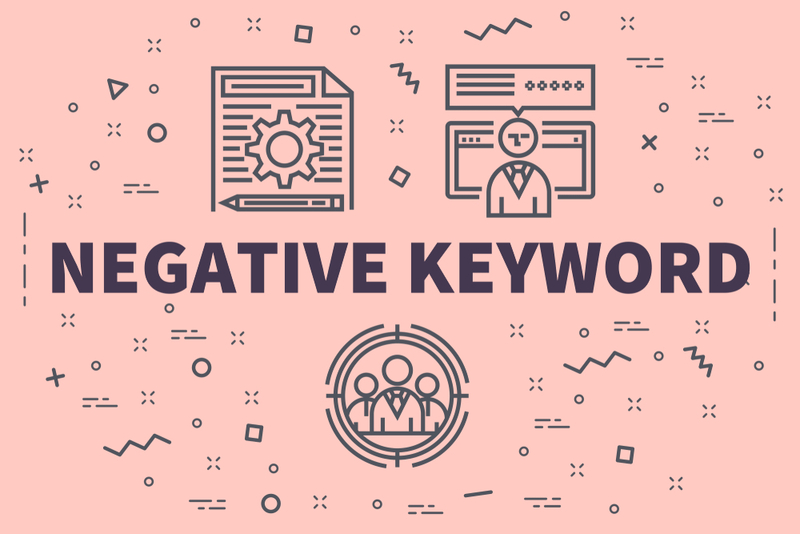 After doing keyword research and having built a good list of negative keywords, you should now add them before launching your campaign. You will also get recommendations for other keywords as you work on your ad groups. And you’ll find some aren’t relevant and you can add these in the negative list. Throughout the management of your AdWords account, you’ll need to add negative keywords. You’ll do this to block searches that aren’t relevant for your business. The search terms report is the most important report to help you do this. In this report you’ll see a wide range of searches and some won’t be relevant. It’s common to see newly launched campaigns have over 10% of searches that aren’t relevant. So if that is not fixed, you could be wasting a lot of money on these irrelevant searches. Some searches may look relevant but if they have poor conversions, then you should consider adding them as negative keywords – especially if they’ve received over 100 clicks each.